Protector is the first book in the Full Blood Series by Dutch Author Serena Nova. Protector tells the story of Isadora, the last full blooded witch. And this is a problem. Being the last full blood could put her life in danger, so as a child her grandmother forced her to hide her gifts before sending her to an elite school to train witches and Protectors. Isadora’s grandmother knew that full blooded witches that didn’t know how to defend themselves were already dead. Isadora was able to conceal herself for 12 years before her best friend, the closet family she had, was threatened. So powers don’t stay hidden for long and unfortunately for Isa the wrong people saw what she could do. Now her only way on is to meet the 4 kings whether she wants to or not. 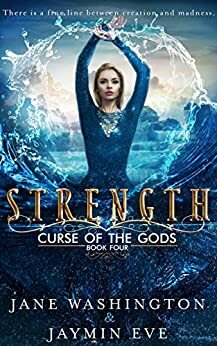 Strength the fourth book in the Curse of the Gods series by Jaymin Eve and Jane Washington. Willa is now as she puts it one of the undead, she isn’t really, but that’s how she explains how she could be stabbed, brought to Topia and still be alive. In order to become a god, the Sol would have to be blessed by Staviti and well Willa sure wasn’t. So along with her 5 Abcurse men, Willa is hiding out in one of Cyrus’ homes. Through trusting him isn’t easy as he is the one that stabbed her in the first place. While in hiding, Willa and the boys get to go see a special visitor. The guys mother is home after having been away for a long time. Willa is excited and nervous to meet her as she is the goddess of Beauty and her mens mom. But while there, the six learn that Staviti has decided on a meeting where all gods must attend. At this meeting they learn that all Beta gods will be forced to teach Sol’s with similar abilities. Staviti claimed that Topia could no longer hold any more gods, but wanted to see if they could create a third after the Beta. All of the guys are forced to go, and where the Abcurses go, Willa goes too. No one knows that she died yet, so the guys hope to use it to their advantage. But with Willa do things ever go as planned? 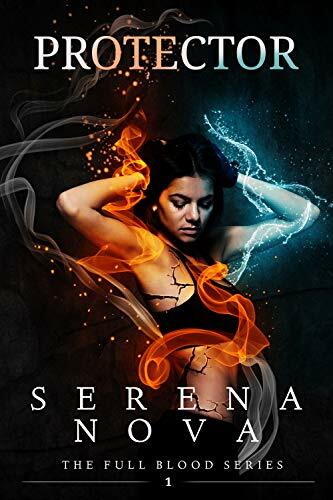 Tenacity, Rise of the Iliri book 5 by Auryn Hadley. The Black Blades defected to Anglia, the law that state that any Iliri who choose to relocate to Anglia can do so without consequences are in place. And that is what the Black Blades needed and what Anglia and Viraenova wanted. Now Salryc has a crown and way to help her people. The CFC doesn’t like this and are pissed off, not wanting an alliance with the Anglia any more, Anglia moves on. After securing a small town and found almost everyone death, only in a basement of a building they find someone. A girl, with red curls, one ice blue and one pale amber eye sits in a cage. Scared and with a power nobody ever seen in an Iliri. Sal helps her out of the cage al to aware of what that does to you. Knowing how it is to be a slave, to be caged and treaded like something disgusting. Shaden, the girl starts trusting Sal and they take her back to the camp, giving her a safe place to stay. Giving her the choice of living with them or doing whatever she wants, something called freedom. They are planning on liberating a city that is been enslaved by the Emperor’s reign. Only this city is thought to be impenetrable, nobody goes in or out and that is a problem if they want to save everyone inside the city. They figure out a plan, to get inside, open the gates. And Shaden, still shy and scared with so many man around her becomes their secret weapon, showing how powerful she is. 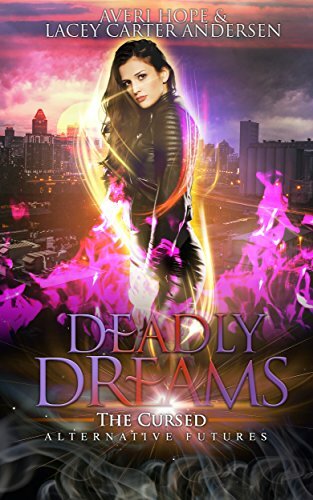 Book 2 Deadly Dreams: The Cursed is finally out. I couldn’t stop reading the first so I was so excited with this one’s release. By Lacey Carter Andersen and Averi Hope. It has been two years since Caleb left Erin to go to the earth academy after their fight, even with Erin’s video message. Erin is taking a demotion from commander to lieutenant commander on the newest ship The Odyssey. Erin for the past two years has dream jumped to be close to Caleb as she has never been able to get over him, and with his dreams it seems that he isn’t over her either. As Erin moves to her new position she learns as she transports that Caleb will be her commanding officer. Like Erin, Caleb still has feelings for Erin and sees her as his mate. Caleb and Erin play a game around each other and find themselves still wanting each other above anyone else. To the point in the last two years neither could bear to be with someone else. With the soon to be departure of The Odyssey Erin finds out that she will need to dream jump to put an end to Ahmed’s rain of kidnapping and terror. This book like the first is written chapter to chapter be both Erin and Caleb. 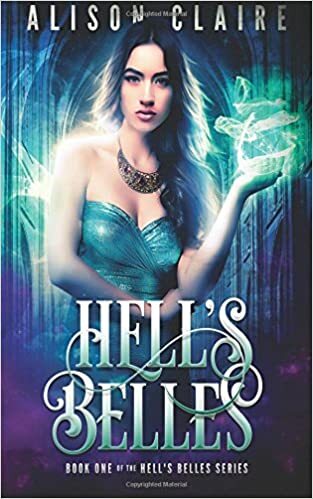 Hell’s Belles by Alison Claire is the first in her Hell’s Belles series. This book follows Emma a high school senior that has had her whole world turned upside down and inside out. Emma’s parents and sister went on a day trip without her after she got in a fight with her mother. But they never returned. Both her parents and sister where killed sending Emma from her home in Riverside, Ca (where in fact I am writing this from) to North Carolina to live with her grandmother. Her grandmother doesn’t really try to have anything to do with her and then she also dies leaving Emma completely alone without any family to take her in. But a supposed friend of her father’s comes to take her to her home in South Carolina to live with her permanently. Virginia Embers lives in a rolling house thats so huge it essentially has its own zip code. Virginia has two other girls that live with her as well. Calista and Josephina. Each of the girls are beyond beautiful and Emma feels out of place right off the bat. Emma has to come to terms with living in a house where no one will answer her questions and she feels that she doesn’t belong. But Virginia is determined to prove to her that she really should be there and be one of the Belles. The newest novel by C.M. Stunich has been released. C.M. said that this is her favorite that she has written and I can totally see why. 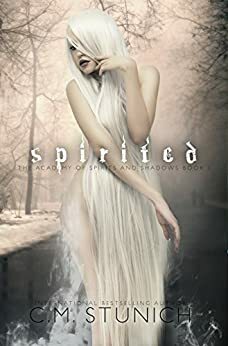 Spirited is the first in The Academy of Spirits and Shadows reverse harem series. It follows the story of Brynn of Haversey and her handler Jasinda, as they attempt to exorcise a ghost to earn their way into the Spirit Academy after being rejected 7 times. But Brynn is special. She is half angel and half human whose black wings are so much larger than her that she often knocks into things and falls over. And this combination gives her the ability to see ghosts and spirits. And yes ghosts and spirits are two different things. While on her assignment, Brynn runs into ghost Elijah that has been trapped from a year when he and his handler attempted to exorcise the same ghost, but they didn’t make it out alive. Elijah helps Brynn and somehow in the process is unbound from his place of death and bound to Brynn. While on their return, new ghost in tow, Brynn meets Vexer a griffin (in this story griffins are essentially men or women that can trun into griffins but always have their huge wings on their back) that returns her to the capital city. He takes an interest in her and tries to get her to go on a date with him, which she refuse, but later regrets that choice. But she has more important things to do, like get Elijah back to the castle that she lives at and have him speak to the queen. 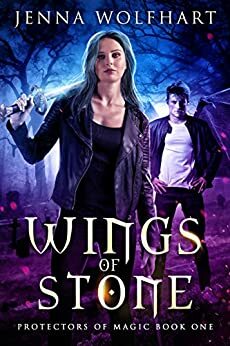 Wings of Stone by Jenna Wolfhart adds to her previous world. Rowena has been living with Shadow Witches since she was an infant. Her whole life she has been told that she is sick and has to take a potion every night at midnight. Due to her health she is only allowed to leave her room for one hour a day. Rowena’s life changes when a male, first that Rowena has ever seen comes to their hidden castle. Discourse occurs over the stranger, Marcus, being in the castle and Rowena is locked in her room with gargoyles that have been placed in her room. Rowena escapes from her room where she plans to escape from the castle she has never left before. Marcus offers to help her and flies her away, when the two gargoyles from her room follow them. What Rowena didn’t know was that with her gone, her coven’s castle has disappeared and sent with all of the witches to the middle of London. Witch Hunters start attempting to go after Rowena now that her coven can be found. The three gargoyles take Rowena with them to the home of the gargoyles, though now with magic failing there are only five left. Can Rowena find out what happened, who she is and how to save the gargoyles?